A small European geostationary platform (SmallGEO) for communications applications is being developed under OHB's lead management. Initiated by OHB, it has been established as a separate component of the long-term ESA schedule under the ARTES-11 program. The purpose was to develop a modular geostationary satellite platform in the 3-ton-class. Customers can select a classic, hybrid or electric propulsion system for the satellite. What sets the SmallGEO platform apart is its modular structure. As a result, the satellite can be fitted individually in accordance with the customer's specific requirements without any major modifications to the satellite bus. The advantages are plain to see: Short integration times make it possible to react swiftly to new market needs and reduce costs. The relatively low complexity of the system ensures high reliability in tandem with reduced program risk. SmallGEO has been developed as an optimum platform for communications payloads. 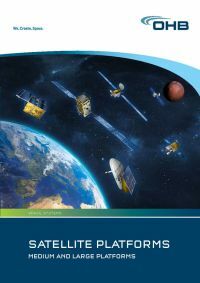 With its modular design, however, SmallGEO also provides a cost-efficient basis for other applications such as earth observation or meteorology. 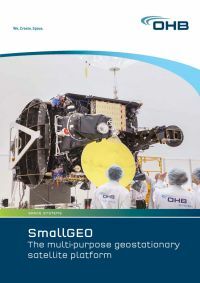 The first satellite utilizing the SmallGEO platform was placed in orbit in 2017. Further SmallGEO satellites are being developed and/or manufactured.